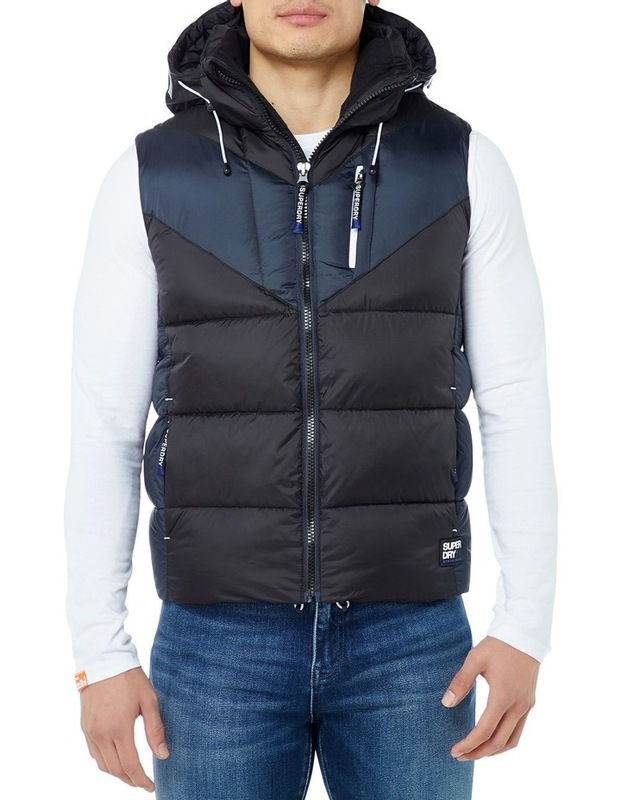 Superdry mens Albion gilet. 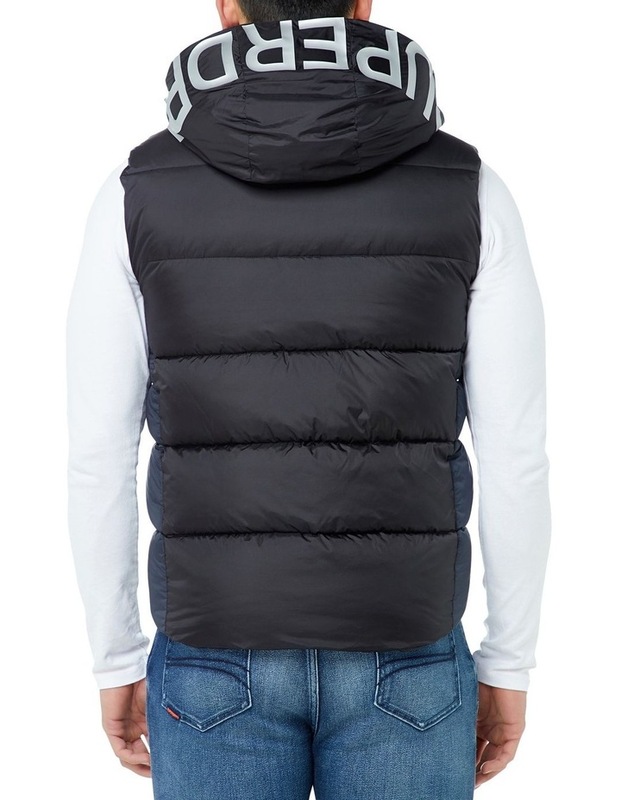 This fully quilted gilet features a detachable hood, bungee cord adjuster on the hood and three front zip pockets. 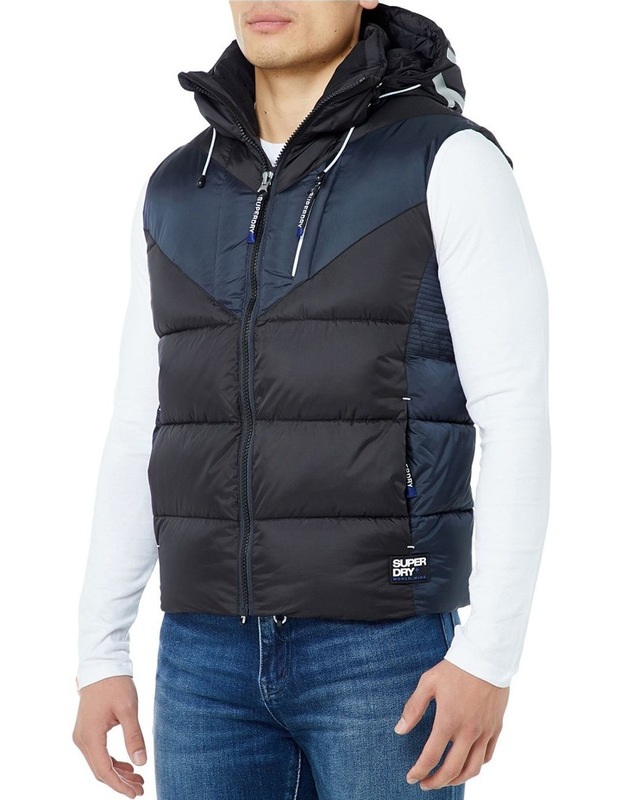 This must have gilet is finished with a Superdry logo on the hood, a rubber logo badge above the hem and a logo zip pulls.